A few hundred years ago, it was witches and jews. But burning witches and persecuting jews is socially passé, so the powers-that-be require new Bogeymen with which to frighten the citizenry. That is, if the citizenry can shift their glazed eyes from such ‘conciousness-raising’ (note sarcasm) offerings such as “The Block”, “Big Brother Australia”, “The Voice”, “My Kitchen Rules”, et al, to become frightened of black-garbed “Jihadists”. Funny old world… the masses indulge in their televised ‘opiates’, “reality TV”, and in doing so by-pass the Real World in which they live in. Because, when you think about it, here’s the irony: in 1985, after French agents/terrorists bombed the Rainbow Warrior, killing an innocent man. The State did not react by passing a gaggle of laws increasing surveillance, police powers, and other draconian measures. The government of the day simply allowed the Police to get on with the job of apprehending the culprits. Meanwhile, 29 years later, with not a “Jihadist” or “Foreign Fighter” in sight, this government has enacted more repressive laws and extended State surveillance, than at any time in our short colonial history. This government could install cameras in every home in the country; set up roadblocks and checkpoints at every intersection in our cities; enact a dusk-to-dawn curfew (except Friday and Saturday nights, so bars and alcohol retailers can still ply their trade) – and the slumbering masses would simply switch channels from “Home Improvements” to “Masterchef Outer Mongolia”. How Melulater Sees It: Why rushing legislation isn’t democratic and doesn’t meet the standard. Ms Collins resigned before the election after being accused of working with the Whale Oil blog after emails were released suggesting she was “gunning” for former director of the Serious Fraud Office, Adam Feeley, when she was the minister in charge of the SFO. A report by former High Court judge Lester Chisholm into her actions will be released this week, with some media reporting that it is expected to clear her name. After the Old Boys’ Network swarmed around now-disgraced CERA boss, and sexual-harrasser, Roger Sutton, with support and to downplay the seriousness of his behaviour – this blogger predicts the following outcome of the investigation into Judith Collins. She will be fully exonerated. Bundles of flowers will be sent to her office (note to florists in Parliamentary precinct: stock up). Cameron Slater will claim full vindication and become even more obnoxious and unpredictable in his behaviour (if that were at all possible). Critics of this increasingly authoritarian government will think twice before speaking out. Collins will be restored as a Minister within twelve months, more vengeful, and more dangerous than ever. This government will become more emboldened than ever to pursue vindictive retribution against critics. The report from Chisholm will most likely be a total whitewash. No one should expect accountability from this government. They will see “accountability” as weakness, and a third-term government cannot afford to show any hint of weakness. 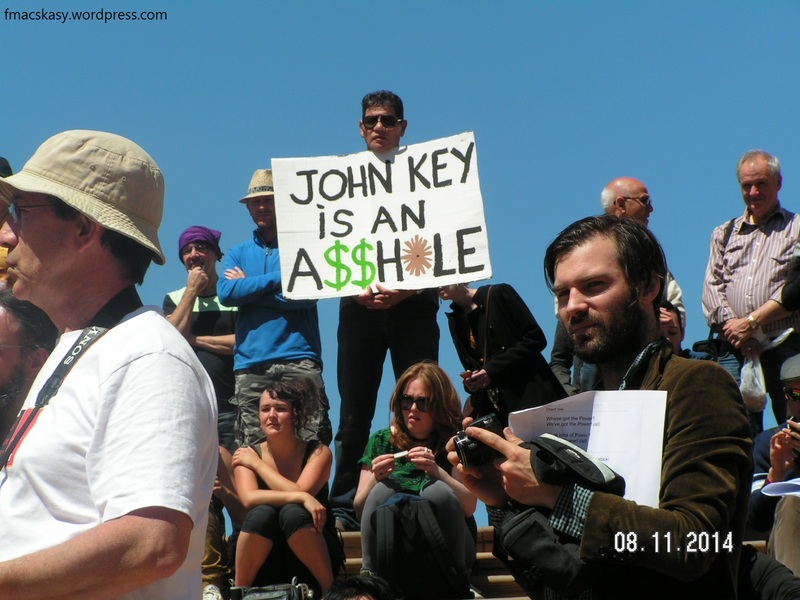 After all, New Zealanders love ‘strong’ governments. Even Muldoon’s increasingly erratic administration might not have been voted out had it not been for Bob Jones’ NZ Party, which split the right-wing vote in 1984. The under-current from a significant portion of the population that holds irrational, conservative views should never be under-estimated. It will be a mistake for Key to restore Collins as a Minister. But the pressure from her National party cronies will become irresistible, and Key will have no choice but to eventually yield. It will not be a decision that comes easily to our esteemed PM. Key is fully aware that Collins’ arrogance – like a certain ex-MP with a ‘don’t-you-know-who-I-am‘ attitude – inevitably draws trouble to herself. The Oravida-China fiasco, where Collins used a tax-payer funded trip to promote her husband’s milk company in Beijing, made unwelcome headlines for the National Party for weeks. Collins escaped that scandal only by the skin of her teeth, when the Opposition and Media onslaught ran out of steam. Next up, Collins’ bizarre personal attack on one of the media’s most inoffensive Parliamentary journalists, Katie Bradford, where the Minister made outrageous allegations of impropriety. Collins eventually had to retract and apologise – no doubt after an increasingly irritated PM put the hard word on his errant Minister. Not content to keep her head down, Collins pursued a secret political relationship with far-right blogger and convicted criminal, Cameron Slater, which, when uncovered in Nicky Hager’s expose, ‘Dirty Politics‘, was the straw that finally broke the ministerial camel’s back. On 30 August she ‘resigned’ her portfolios. This scandal could easily have triggered an early election had she held fast and refused to step down. History might have been different had Key gone to polls three weeks before the Nats were ready, and under Collins-inspired storm-clouds. A day later, she obliged. Five days after her ‘resignation’, a Fairfax media-Ipsos poll reported a massive 3.4% jump for National. No doubt National-aligned pollster, David Farrar, had already known that National would re-bound with Collins gone. His own internal polling would have shown this. But here comes the ‘kicker’. On 5 September, on the same day as the Fairfax-Ipsos poll was made public, a NZ Herald-DigiPoll, showed another conclusive result for the National Party. The majority stated categorically that they had had enough of the increasingly troublesome, ‘accident’-prone, Member for Papakura. 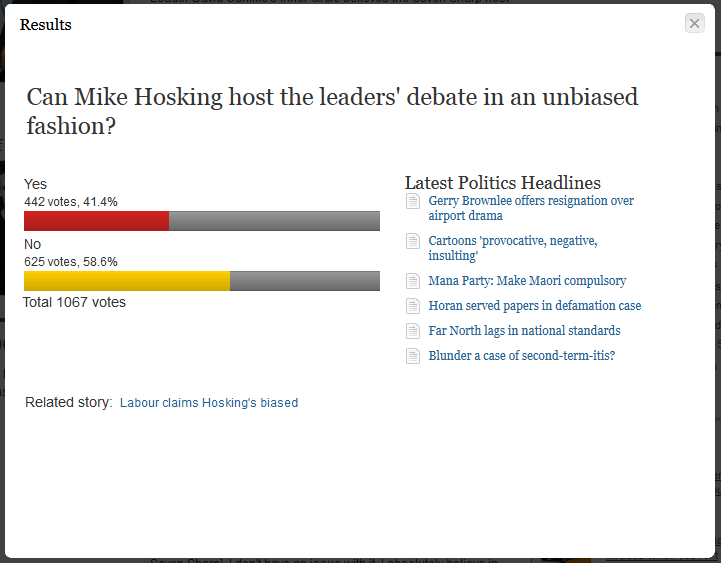 Those results clearly illustrate the divisive nature of Judith Collins if she is in a position of authority. Key would do well to remember these facts, even when/if the Chisholm Inquiry exonerates her. On the other hand, a revitalised Parliamentary Labour Opposition probably relishes the prospect of a politically “rehabilitated” Collins appointed to a Ministerial role once again. One can only imagine what new cluster-f**k is awaiting in the wings with this woman. This blogpost was first published on The Daily Blog on 25 November 2014, at around 8am. MSM under-mining of new Labour Leader already begun? In fact, on the same day that Andrew Little won the Labour leadership*, the first media reporter was already asking if he would be stepping down if Labour failed to lift in the all-important polls. 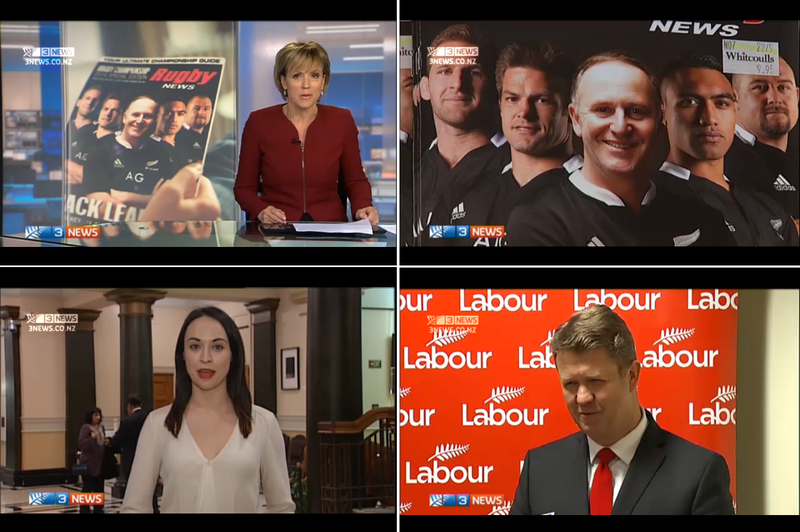 Now bear in mind that Radio NZ is not part of the ratings-driven, advertising-revenue-chasing corporate MSM of this country – but still those questions were put to Little. How long before the corporate MSM – sensing sensational headlines and potential advertising revenue – begin baying for blood and drafting stories which begin to portray Little in a negative light? It was the relentless attacks on Cunliffe from all quarters of the MSM (including non-commercial Radio NZ) which contributed to under-mining his leadership in the eyes of the voting public. 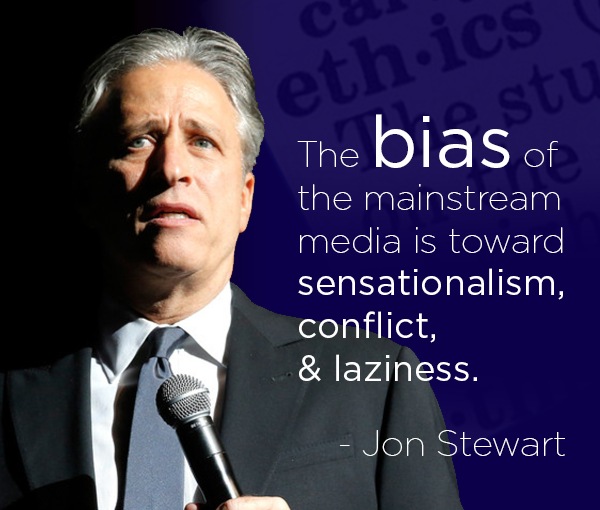 The public’s perception of a political figure is determined largely by how he is portrayed by the media. Fairness and accuracy can play little part in reporting stories targetting a political figure. As the Donghua Liu Affair, in the NZ Herald showed with disturbing clarity, even a non-story can be spun in such a way as to totally destroy a man’s credibility and reputation. Note: As an aside, in defending the Herald’s story on the 13 year old Donghua Liu-Cunliffe letter, Editor Tim Murphy stated in June this year (in an email to this blogger), that “We fully expect further details to come will show the Herald’s earlier reporting to have, as we have known throughout, been accurate and soundly based“. Nothing further has been produced by the Herald to back up it’s assertions since it was forced to make retractions on 25 June. 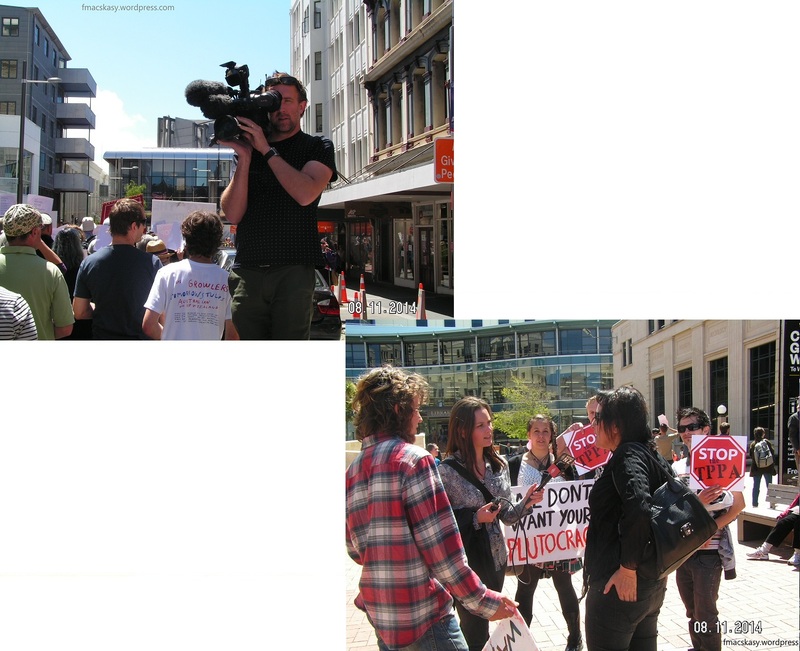 The Donghua Liu Affair was part of an ongoing, targetted, smear campaign against David Cunliffe. 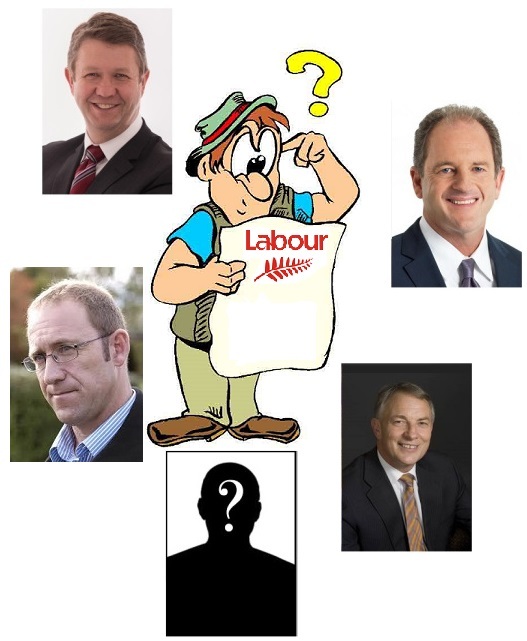 The non-story, involving a 13 year old letter; a non-existent $100,000 bottle of wine; and an alleged, yet-to-be-discovered, $15,000 book, painted Cunliffe as untrustworthy, and the Labour Party as dodgy. The new Labour leader will have to keep his wits about him and use every media-related connection and employ the best possible media minders to counter an MSM that can no longer be trusted to report the basic truth. 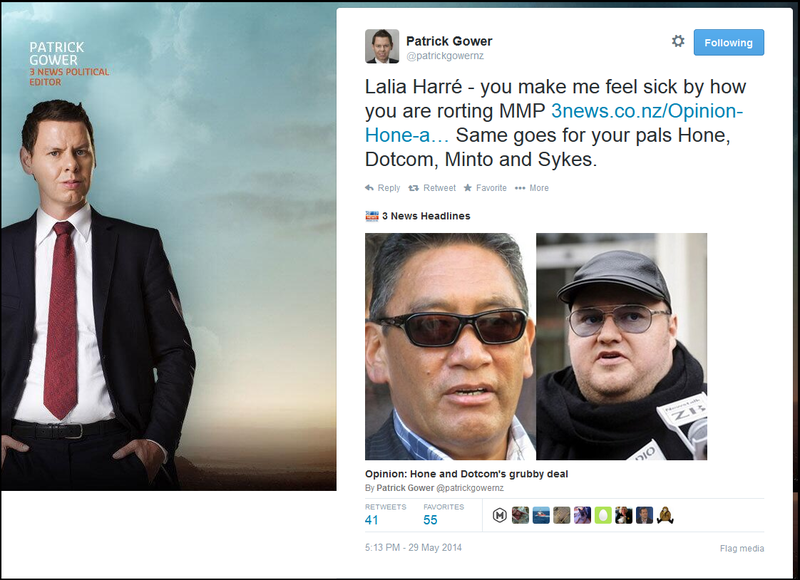 With the likes of Patrick Gower and Mike Hosking competing to be the “baddest bad asses” on the Media Block, accuracy and truth play third-fiddle behind egos (#1) and ratings (#2). Gower’s statement mentions “unions” five times in three short sentences. Which, when you think about it, is bizarre given that the Labour Party was born from the union movement in the first place**. Who did Gower think would lead Labour – someone from the Employers’ Federation? Business NZ? The Business Roundtable? Silly little man pretending to be a political commentator. The TV3 on-line article is bizarre in itself with TV3’s “Online Reporter”, Dan Satherley, reporting TV3’s Political Reporter, Patrick Gower’s, utterances. Journalists interviewing each other? What next – siblings marrying each other under an ACT-led government?! Gower says there remains the chance Grant Robertson and Jacinda Ardern – known informally as ‘Gracinda’ – might have another crack at the leadership – but this time with Ms Ardern leading the way. What’s on your agenda if you become Prime Minister? What’s your point-of-difference to National? What do you hope to achieve, legislation-wise, in the First 100 Days of a government you lead? You know, real questions that real journalists used to ask, in real interviews, with real people. At the same time, the same brickbat used to beat the MSM around it’s collective head should be generously applied to the Labour Party hierarchy’s backside. Labour president Moira Coatsworth, who announced Mr Little’s victory, said he would lead a reinvigorated party into the 2017 election campaign. “The Labour Party congratulates David Cunliffe on his win. David has been elected by a robust and democratic process and has won on the first round with a clear majority. This gives him a strong mandate as leader and he has the full support of the Labour Party. “I congratulate both David and Grant and look forward to working closely with them as we build towards a Labour victory in 2014. 1. How will a Labour Leader gain experience, if they’re dumped every couple of years? 2. How can the public be expected to get to know a Labour Leader, and develop trust in that person, if their presence is fleeting and disappear before we get to know him/her? 3. How will a Labour Leader learn to handle victory, when s/he first won’t be allowed to understand defeat? Humility is learned in failure, not success. The Greens have leaderships that are stable and long-term, irrespective of electoral success or failure. That is because the Party has faith and confidence in their leadership choices. “What this process has shown is that there are deep divisions within the party, they’re a long way away from agreeing with each other or even liking each other. He has a point. 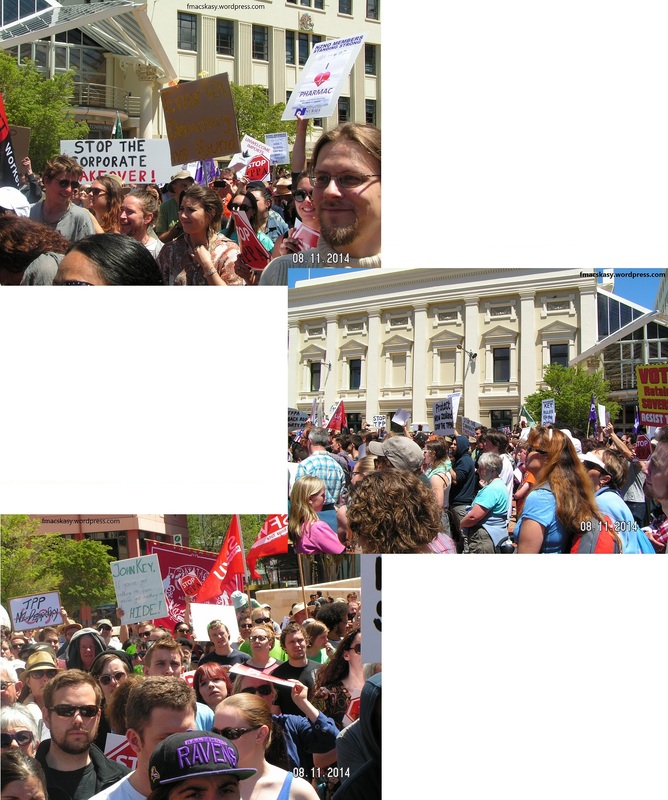 Labour’s lack of internal discipline is in stark contrast to National’s public facade of unity. 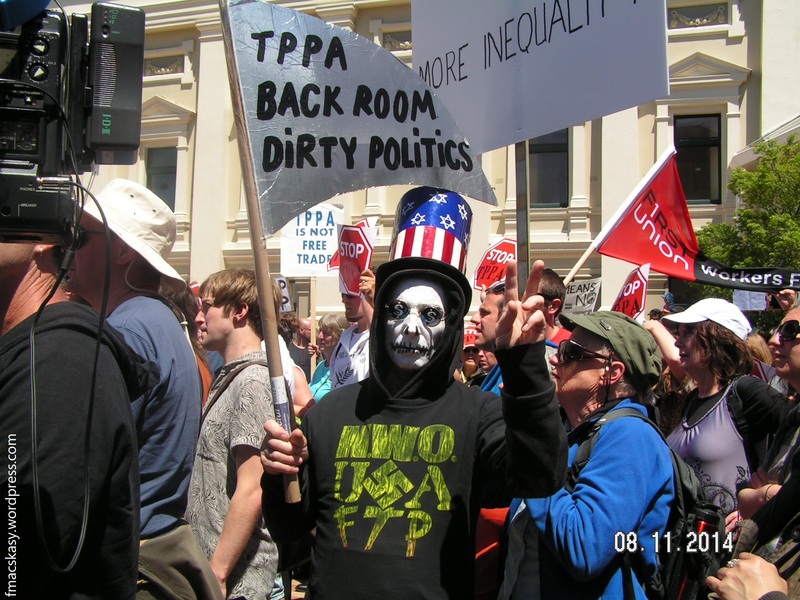 Both parties have their own factions – but National is the one that has succeeded in keeping in-fighting private and behind closed doors. There is a weird irony to this. Labour is supposedly the party that espouses an ideology of collective action whilst National is the party of unfettered individualism. Yet it is the Nats who work collectively and collegially for their number one goal: power. Any factional agitation and cat-spats for dominance is kept well away from the public and media gaze. By contrast, Labour appears to be a party of rugged individualists that would make ACT look like an Ohu commune from the 1970s. Labour could do well do learn from their rivals. The alternative is more dissent and dis-unity within Labour; more leadership changes; and a National government stretching into the 2020s, with Max Key taking the reigns of Prime Ministership from his father, and assuming the dynastic role of “Little Leader”. Personally, I prefer a “Little Leader” to emerge from a Labour-led government, and not a future National regime. 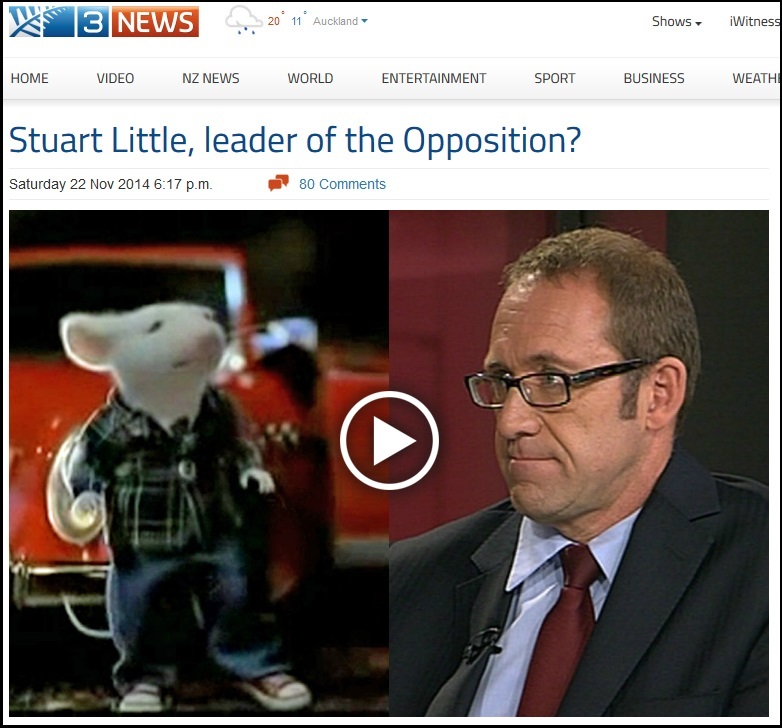 Andrew Little’s success will be our success as well. * Disclaimer: This blogger is not a Labour Party member, nor has any preference who should be Leader of that party. ** Acknowledgement to Curwen Rolinson for his perception and pointing this out on his Facebook page. 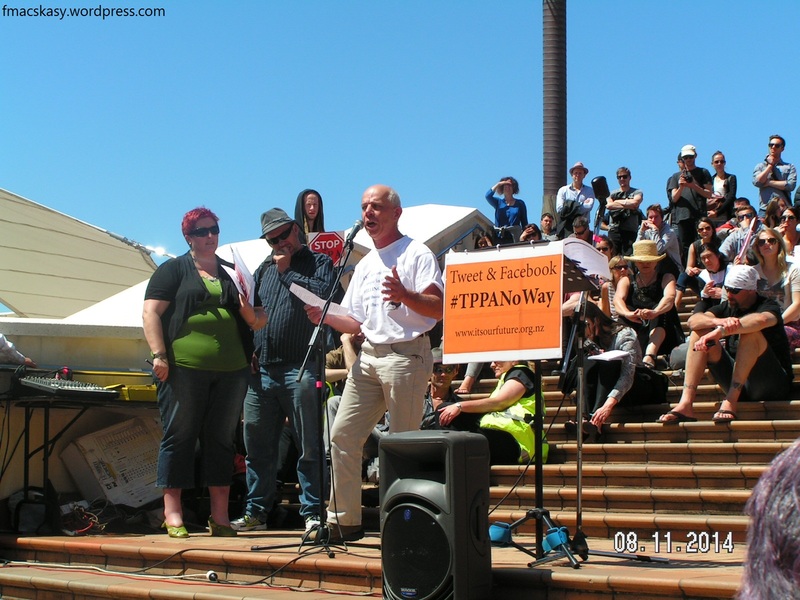 Porirua, Hutt, that TPPA NO WAY! investments or lose them money. tribunals that would bypass our judicial system and override our parliament. for example, fracking laws or more stringent food safety laws. You name it. labelling laws amounted to a barrier to trade, and should be removed. pitifully weak alcohol laws, on the grounds that this would lose them money. amount to a barrier to trade and should be removed –the list is endless. any policies that multinational corporations objected to. tried to limit the import of high fructose corn. refusing to grant mining licenses to various corporations. that multinational corporations object to. government, and of local government, to act in the public interest. and health and safety laws. make multinational corporations more powerful than governments. That’s why we must oppose it with all our might. As with all speakers, the audience clapped and cheered. 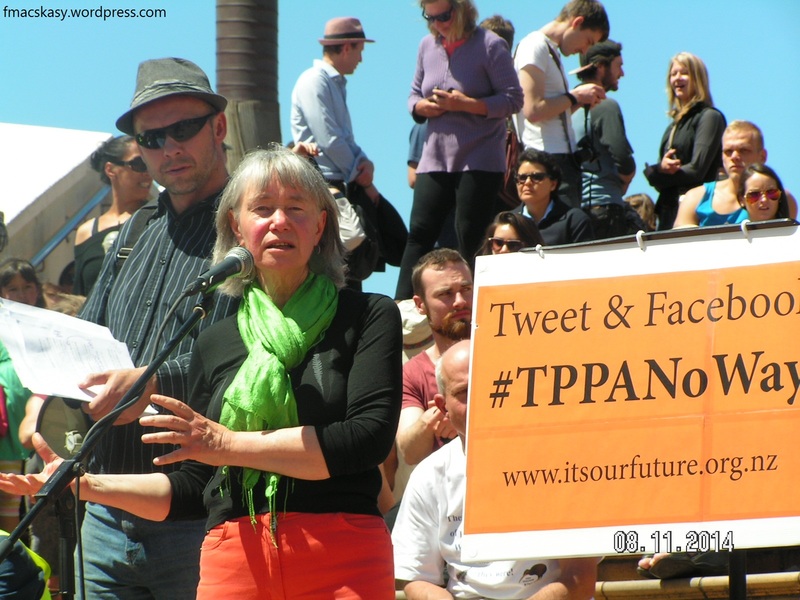 It was evident that the assembled people were well versed in the issues surrounding the TPPA and how it’s clauses might affect us personally, and the future of our country. 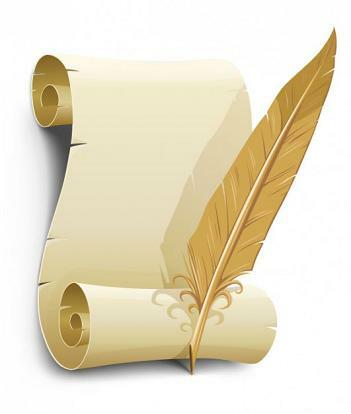 ratify this agreement and it will be sent to Parliament to be rubber stamped. or even a Select Committee. able to regulate in the public interest! over our country, and over our environment. fracking, and all the other methods of fossil fuel extraction. sea illegal – undercutting a core civil liberty of a democratic society. 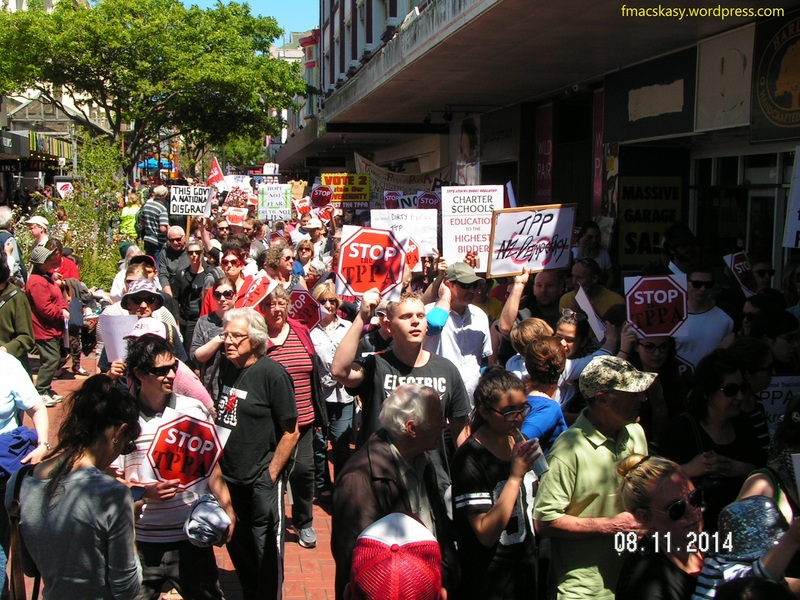 streets and at sea to stop deep sea drilling, it still happens. government from decimating our environment. 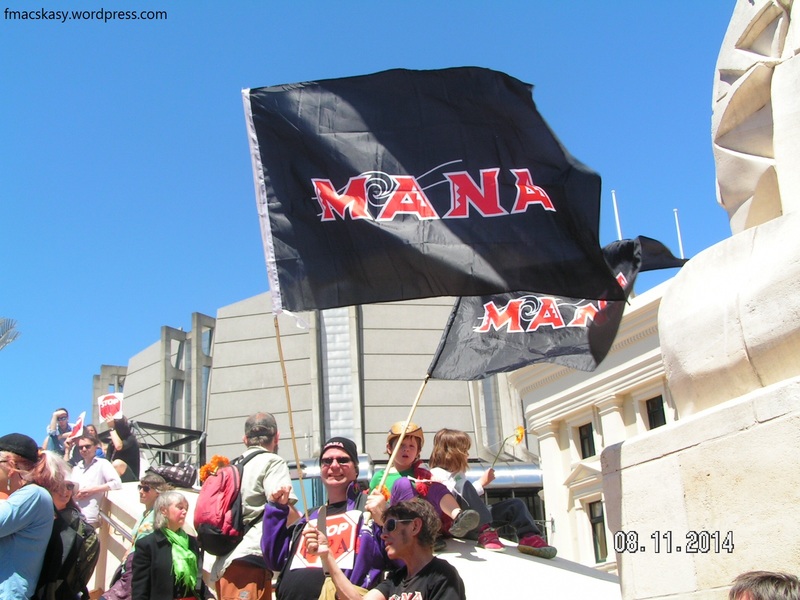 international and in New Zealand, are already in corporate pockets. will be legally able to do this and get away with it. for protecting a nature preserve on the basis that it was cutting into their profits. That there were “violating” their trade agreement with Canada. 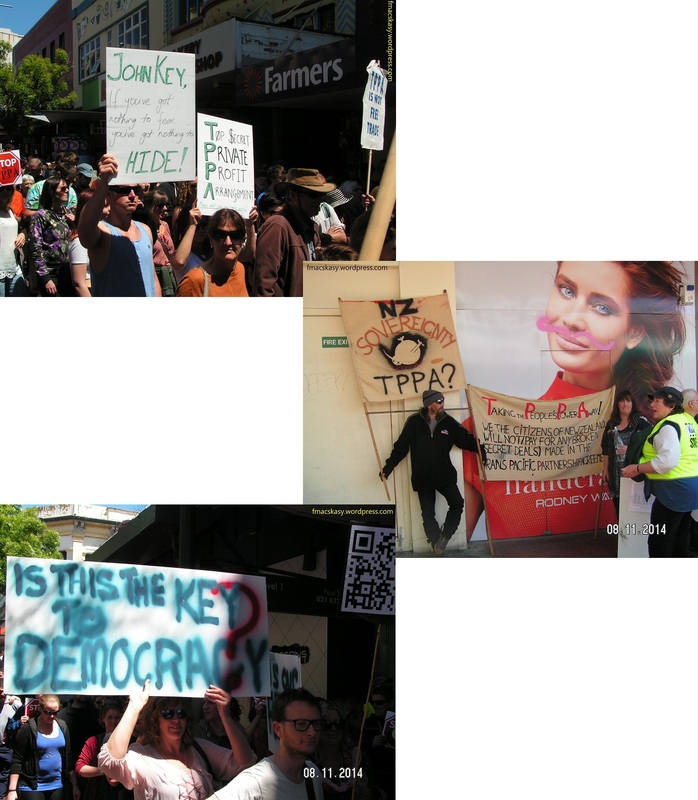 who have faced the axe trying to protect their rights and their land. thirtyfour years, globate climate has raised nearly one degree. remember Hurricane Katrina in New Orleans, in 2005? 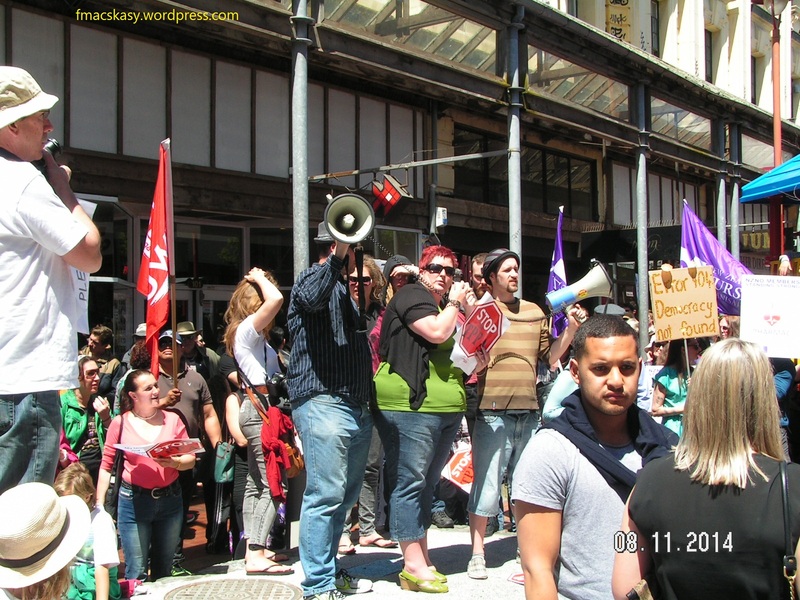 New Zealanders will still face the axe. who cause so much harm will get off scott free, and do it again and again and again. our rights, our country and our environment. bind us to rules promoting corporation interests. This does not address our needs. our quality of life. It is plain common sense. focused on individual outcomes at the cost of community well-being. purpose was to ensure the social, economic, environmental and cultural well being. This removal is theft! Consider the implication. agenda is all about profit. The 4 well-beings are about beneficial social outcomes. decision in March 2014. 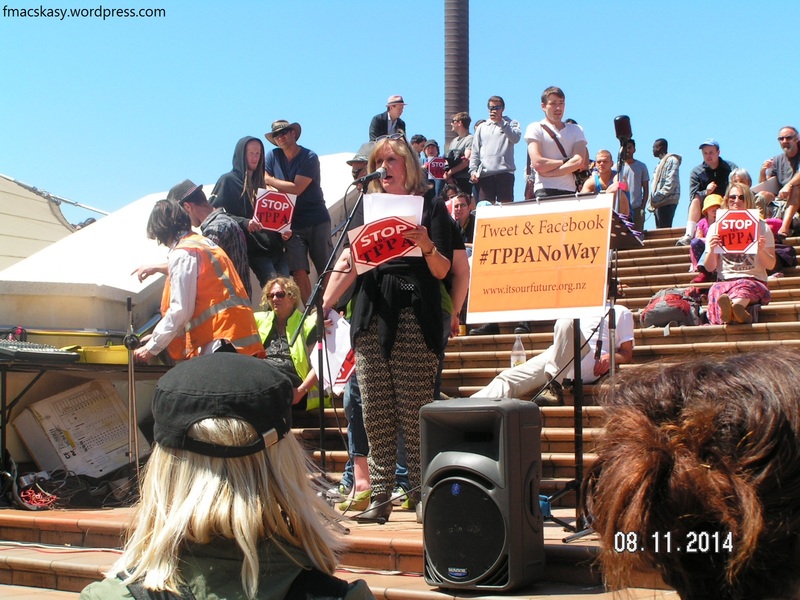 Then we wrote every Council promoting our TPP policy. 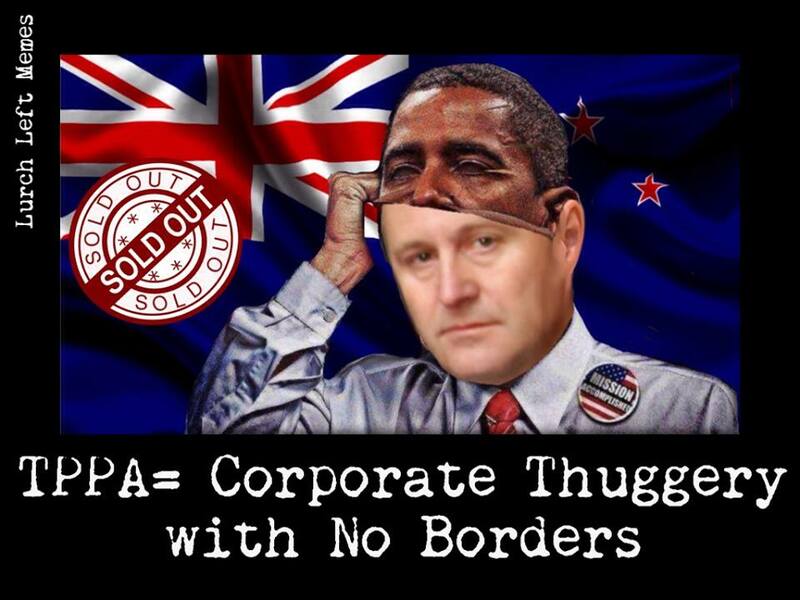 full TPP policy formula. Others have supported variations. Committee agenda item 3a, Thursday 16th October 2014.
request for TPP to be considered formally by the Council. 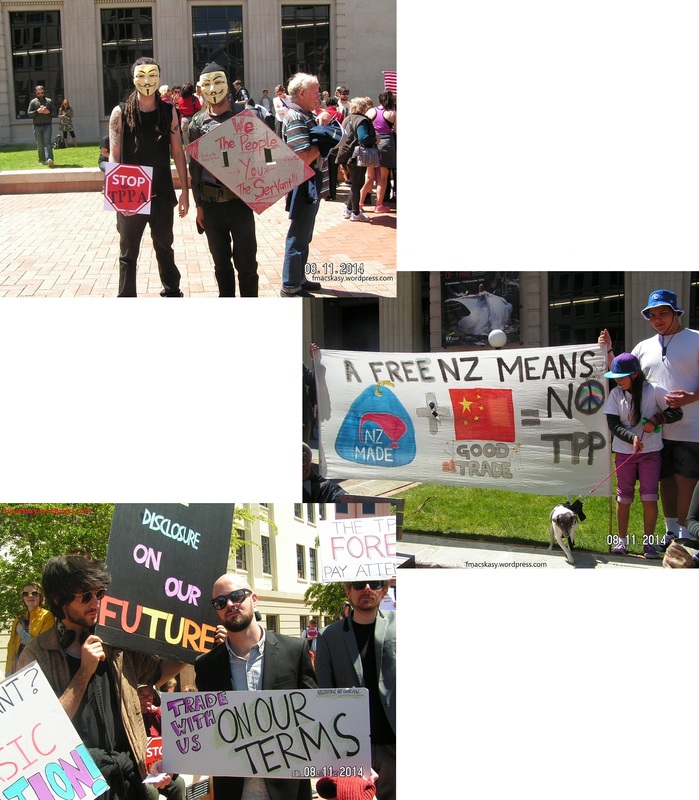 various TPP policy formulas directing NZ negotiators to look after the Kiwi public interest. likewise. 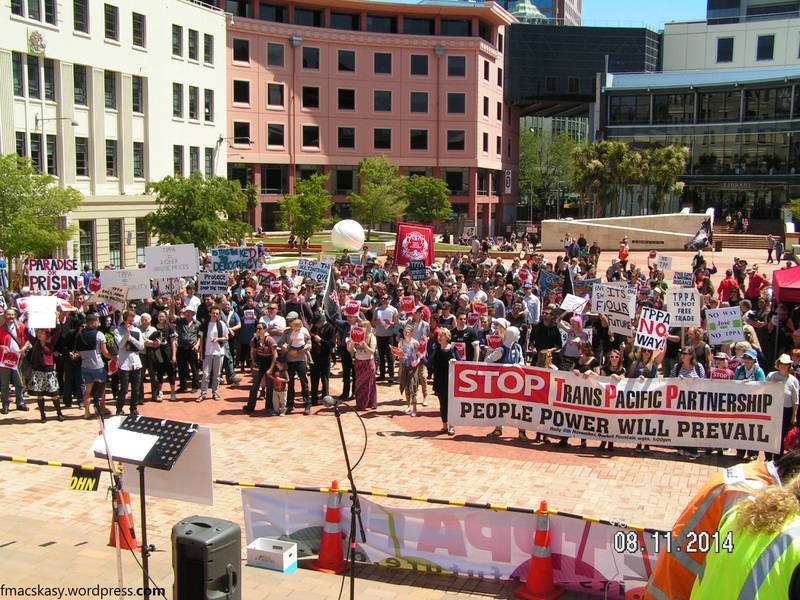 Other councils have indicated that they support LGNZ adopting a TPP policy. 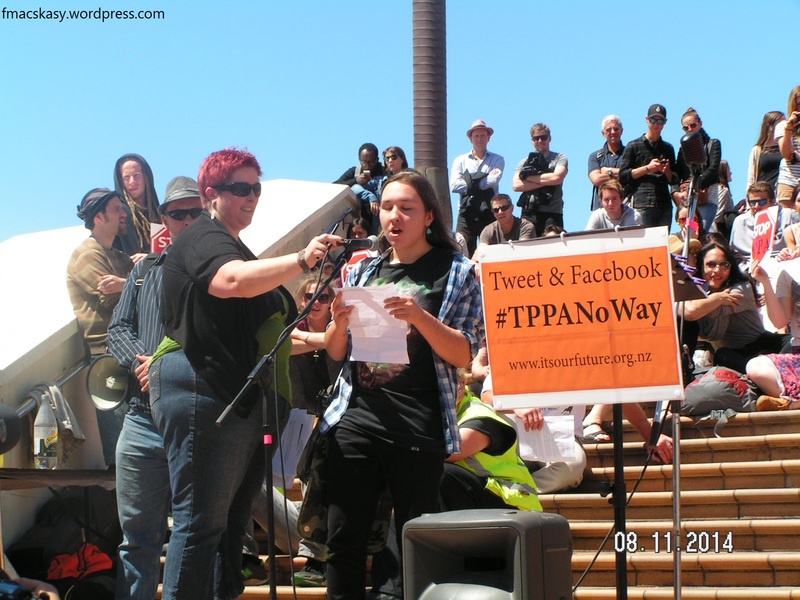 them to lobby their councils to agree to our TPP policy. councils we have held public meetings and will be doing more. OH WE’RE NOT GONNA TAKE IT !! NO, WE AIN’T GONNA TAKE IT !! OH WE’RE NOT GONNA TAKE IT ANYMORE !! 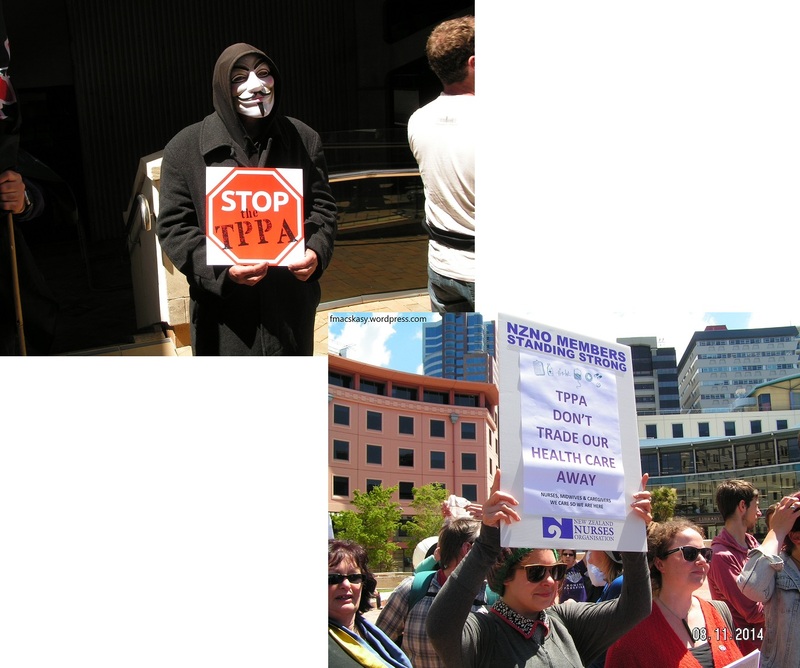 Overheard from someone in the crowd, “How come there are never any big protests in support of the TPPA”? There’s two different aspect about health. But the other things is that you want to avoid getting sick or injured in the first place. 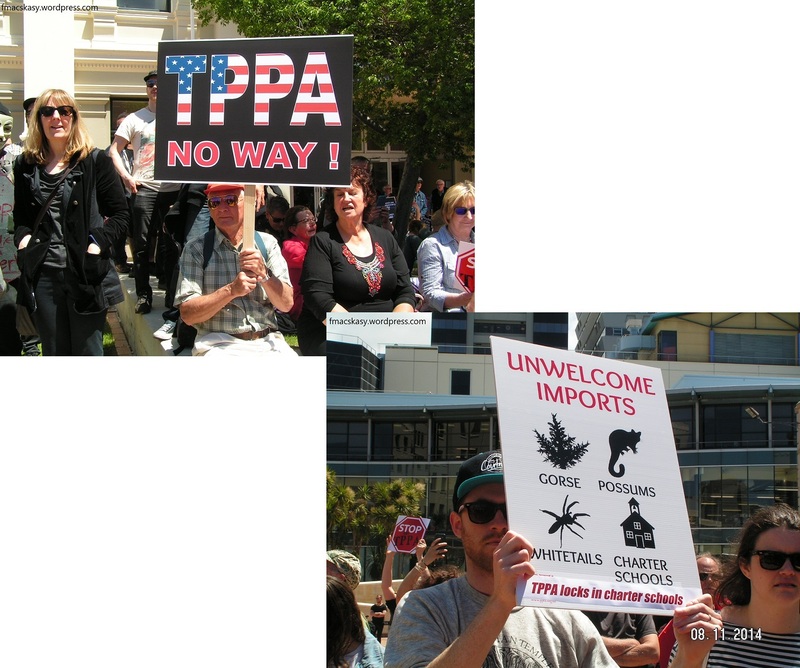 The TPPA puts both of those sets of things at risk. tobacco to making sure of safety standards for baby cots. 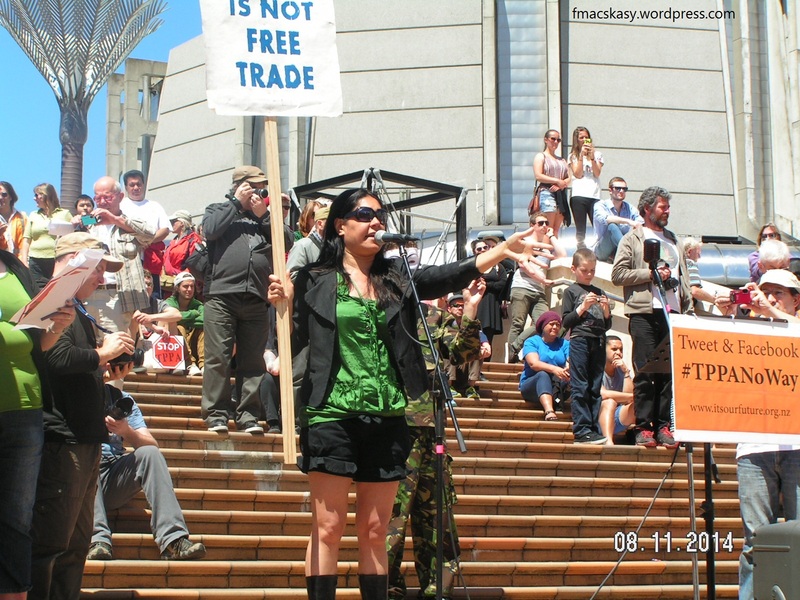 Trade agreements threaten health at all of these points. be able to afford medicines. What about keeping safe and well? Australia trying to keep young people hooked. Where Big Tobacco goes, Big Junk Food, Big Baby Formula, and Big Alcohol are close behind. in Latin America to keep on polluting. Don’t just take my word for it – Get a second opinion. 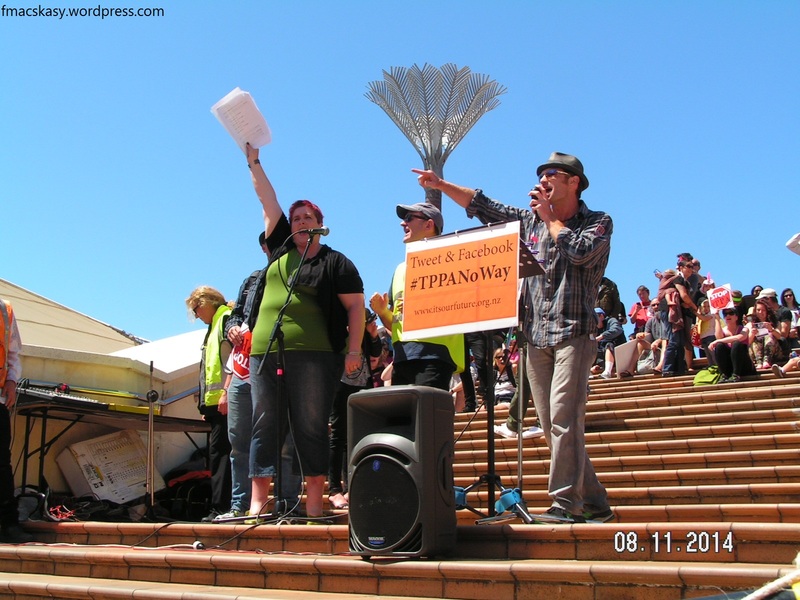 say the trade agreement is bad for health. 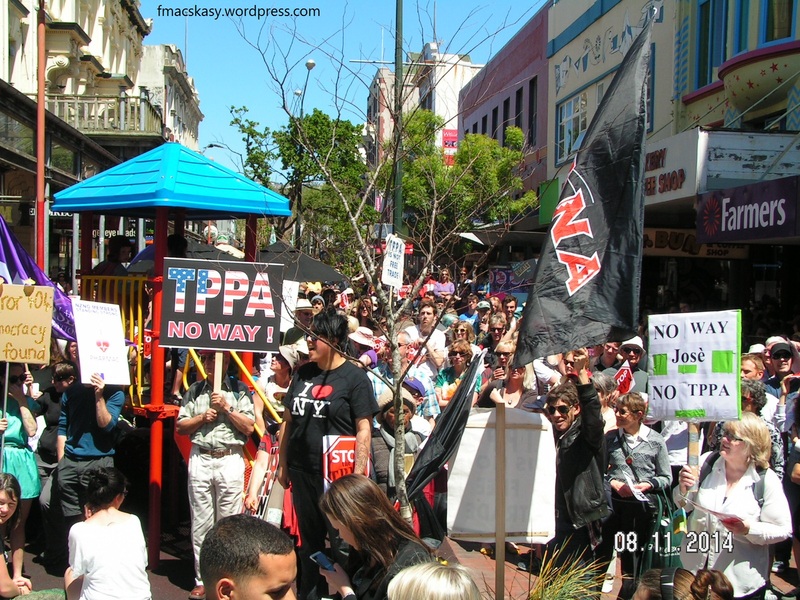 say – NO WAY TPPA! 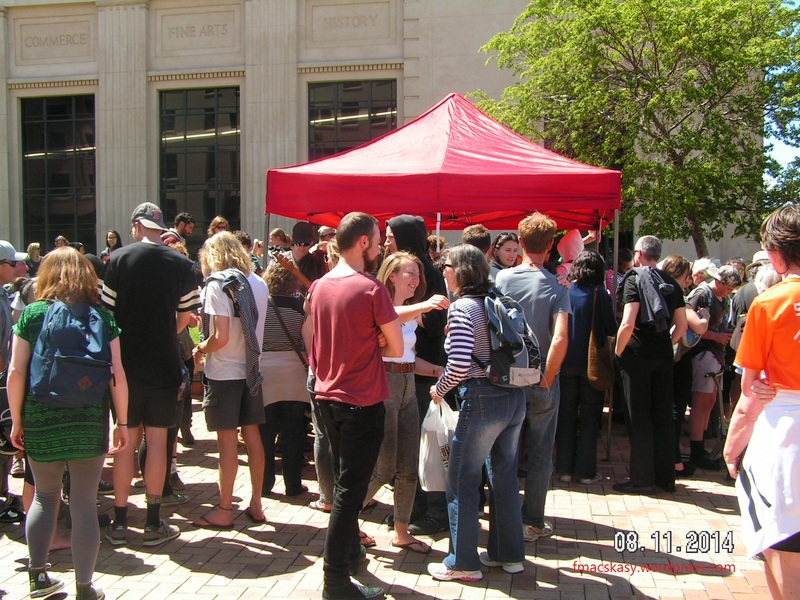 The protest ended on an upbeat, positive note and people crowded around the petition tent. 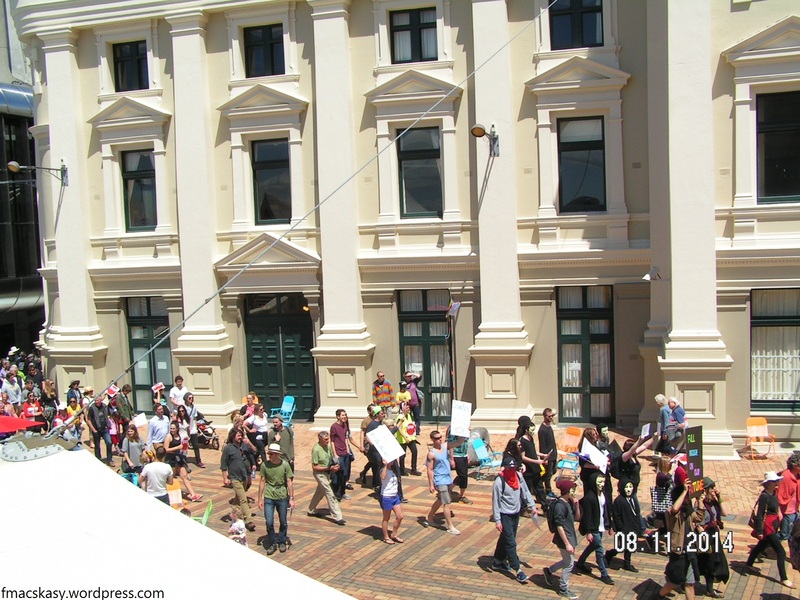 Councils in the Greater Wellington Region would soon be receiving petitions from their citizens. 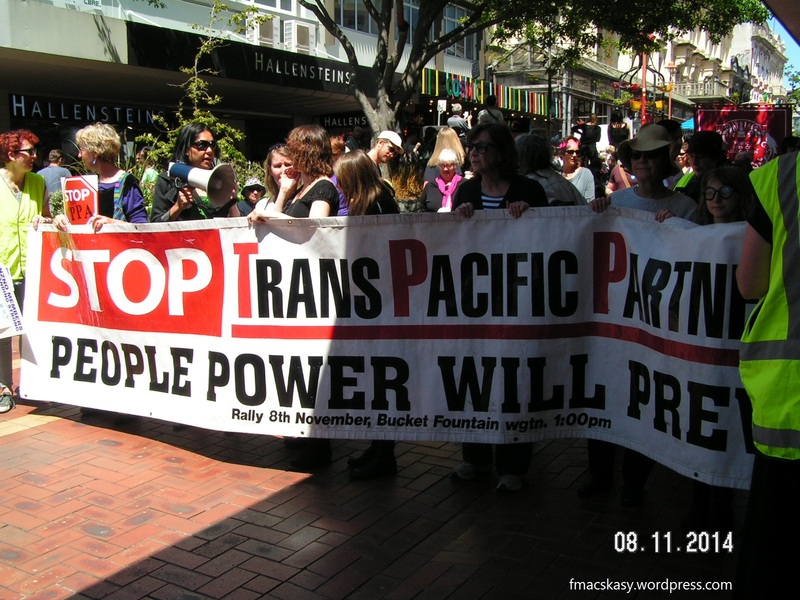 The campaign against the TPPA – like a previous campaign in the 1980s against atomic weapons – would be shifted to the local level. The Council of Canadians: Message to Canada’s Infinito Gold – Drop your outrageous billion-dollar lawsuit against Costa Rica! Yes, it has, Mr Sabin. The money will indeed be “pocketed by the government”. For no other reason than their re-election in 2017 depends on it. The TV3 story reported that up to 22,000 homes worth an estimated $5 billion could be sold off. This would make it one of the biggest asset sales in recent history – when John Key himself promised an end to state asset sales in February this year. 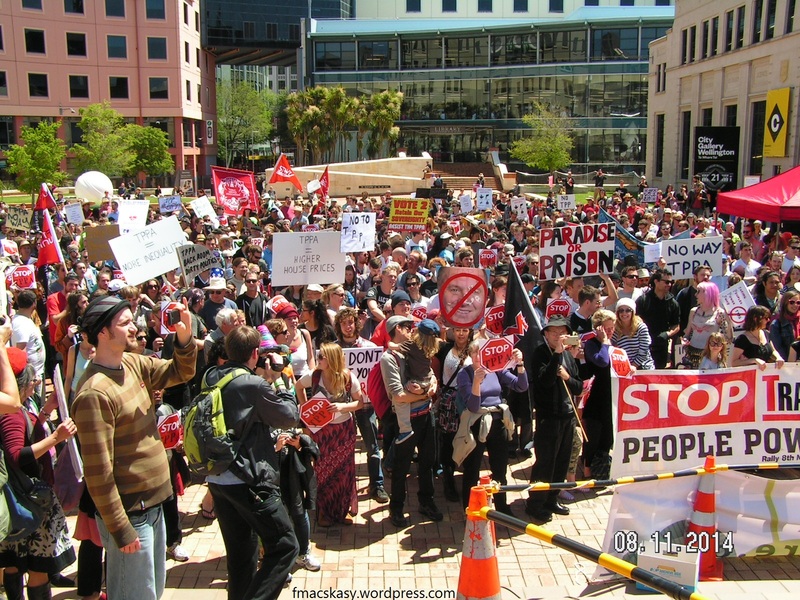 It is also a time when 5,563 are on Housing NZ’s ever-growing waiting list. Finance Minister Bill English says the proceeds from selling state houses are unlikely to be spent on new state houses and may go into the Consolidated Account. This was a radical, unannounced, policy that has taken the country by surprise. Those conditions gave the Labour Government – elected in 1935 – a mandate to make the provision of state housing a top priority. 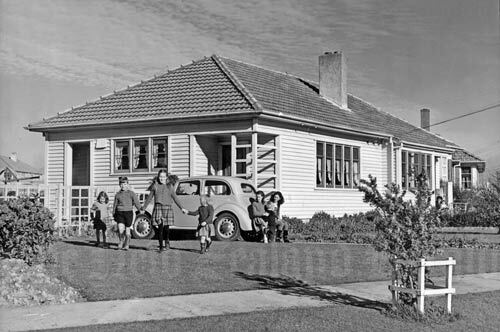 Then Minister of Housing Walter Nash told New Zealand it could not prosper or progress with a population that “lack[s] the conditions necessary for a ‘home’ and ‘home life’, in the best and fullest meaning of those words”. 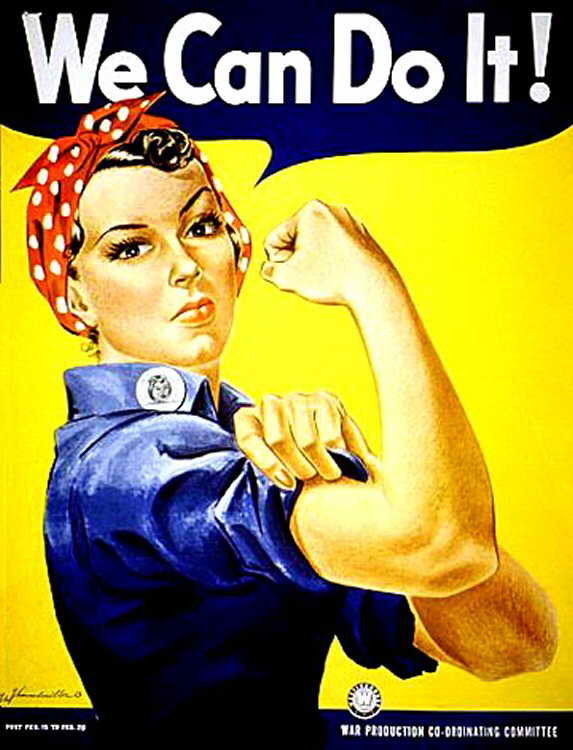 It was a popular sentiment at the time, but look how far we have since regressed. We again have children and their parents living in cars and sheds. We have thousands of homeless; old diseases and ingrained misery have returned as sections of the population struggle to keep pace with the rising cost of living. And at this critical juncture in our history, our Government is looking, instead, to offload state housing. It is the absolute, ultimate irony: a public welfare system that bridges the gap left by market failure, that, when starved, denigrated and under-resourced, as it is now, can only, apparently, be saved by the market. The Government has tried to slip the sell-off of state housing under the radar: I guess they don’t want to be seen to be contradicting their pre-election promise not to sell any more state assets. They focus instead on “first home affordability” – a much more pressing concern for their supporters (as long as it does not affect their other supporters, who don’t want too much new housing to depress the capital value of their property). It is hard to understand how reverting to the Victorian solution of seeing churches and social agencies haphazardly tackle this gaping social wound will work. They don’t have the resources, for one thing. They are also not plugged into the bigger picture – the social needs of the tenants, the transport and logistics needs of new housing and so forth, all things a clever, committed government can oversee. Not ours then, which is trying desperately to shift the immediate costs of social housing elsewhere, and the benefits to a crony cohort. Call me old-fashioned, but I tend to think that housing is one of the core concerns of Government, and that the provision of state housing – as well as its proper management and upkeep – is fundamental. It is astonishing that a Prime Minister who grew up in a state house, and has gained huge political advantage from being able to trumpet that fact, can’t see why it is wrong to pull up the ladder after him. I encourage the reader to read Ms De Boni’s full piece. 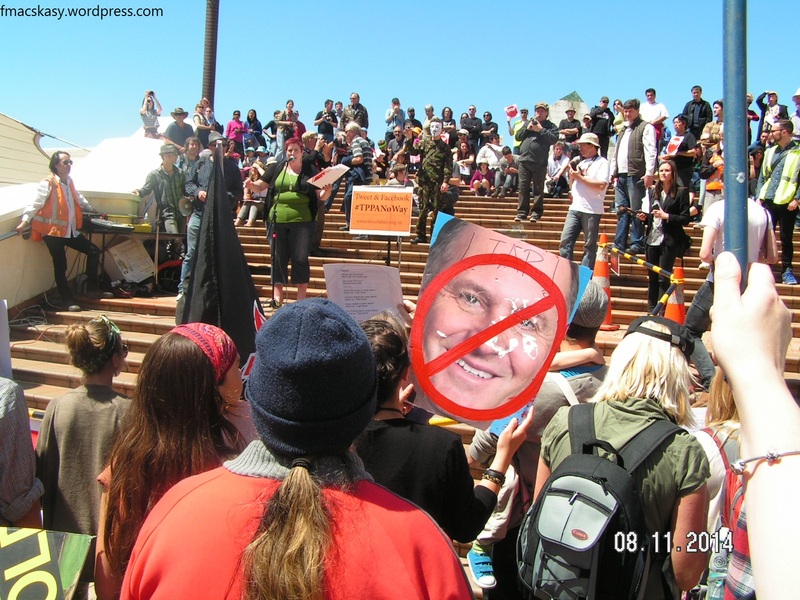 It is a savage indictment of John Key’s miserable agenda to get the State out of social housing. New Zealanders should be under no illusion: housing in this country is about to get a whole lot worse before it improves. We can expect to see more over-crowding; entire families living in cars, under bridges; the rise of the first squatter camps since the Great Depression; more poverty; and more spreading disease. 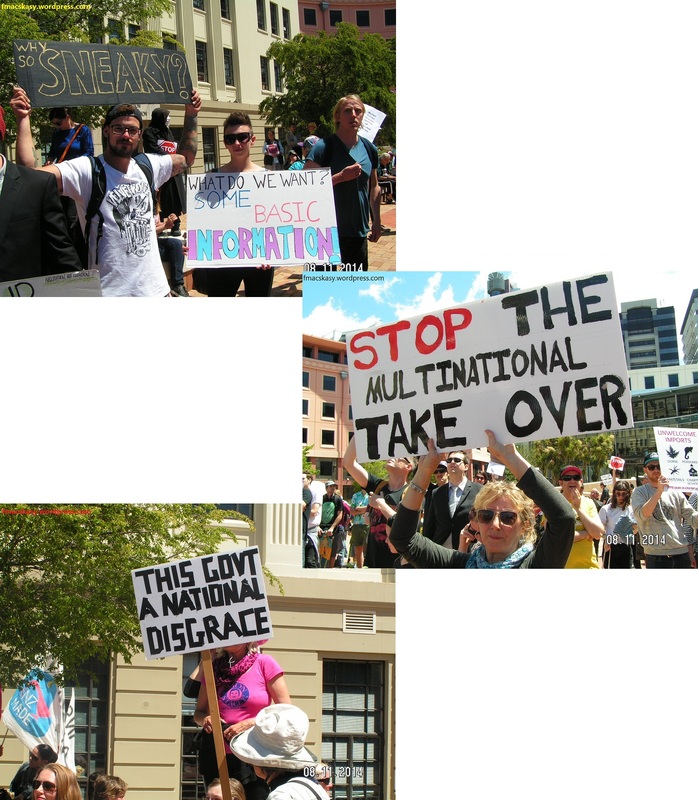 Bill English has made it abundantly clear: this government will be selling state houses. It will not be “rebuilding stock” (houses). This may not be what New Zealanders voted for on 20 September – but did 1,131,501 voters who ticked the box for National expect better?